Memorial Day has already passed and Summer Season is officially upon us even though it’s not technically Summer yet. This brings me to this delicious dessert filled with the most delicious in season blackberries. 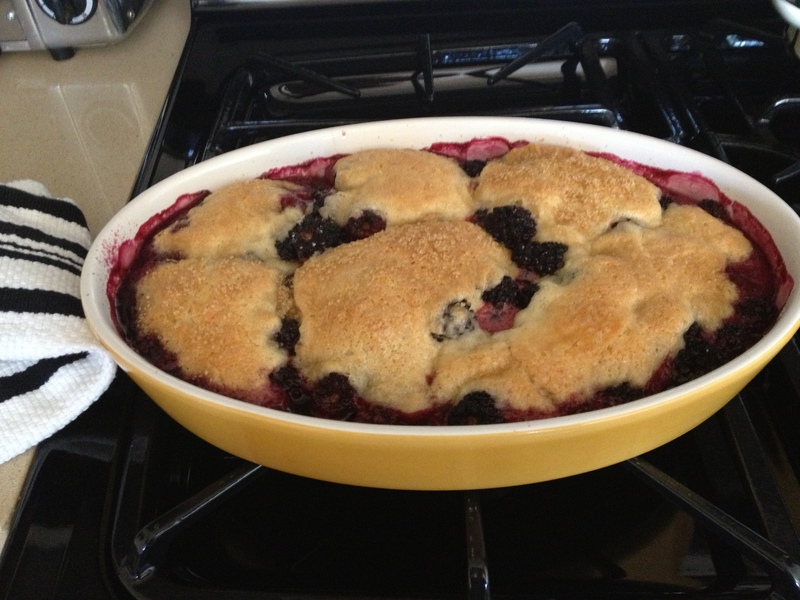 I have posted numerous blueberry cobblers but this one has to be my personal favorite made with Blackberries. It’s a real deal Old Fashioned Cobbler. You can really make this with any fruit but I love Blackberries while they’re sweet, plump and delicious! Blueberries and Red Raspberries will also work well. Or you can mix up the fruits! 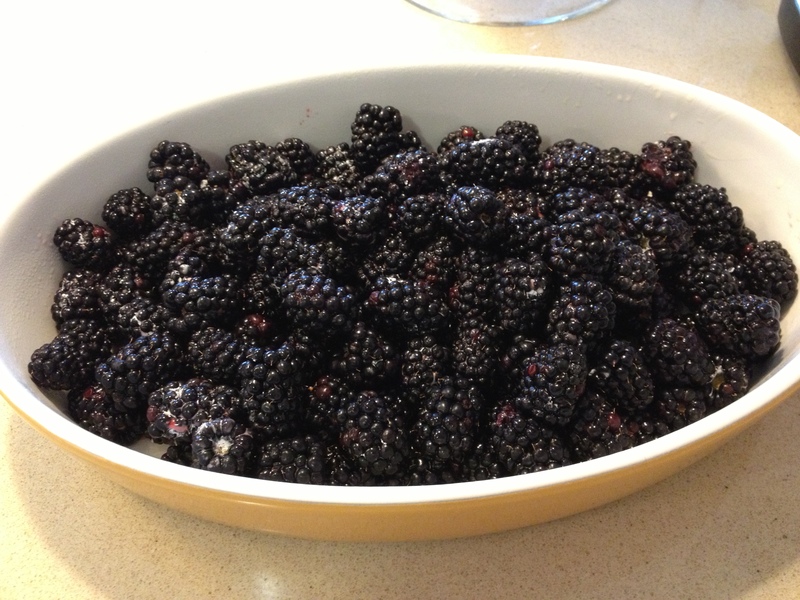 In a bowl I place the clean blackberries that I’ve washed and dried. I sprinkle them with the arrowroot and lemon juice and mix gently Set aside. In a medium size bowl, I sift the flour, 1/2 cup sugar, baking powder and salt. Add the milk and butter. Stir until just combined, don’t over stir, it shouldn’t be smooth. 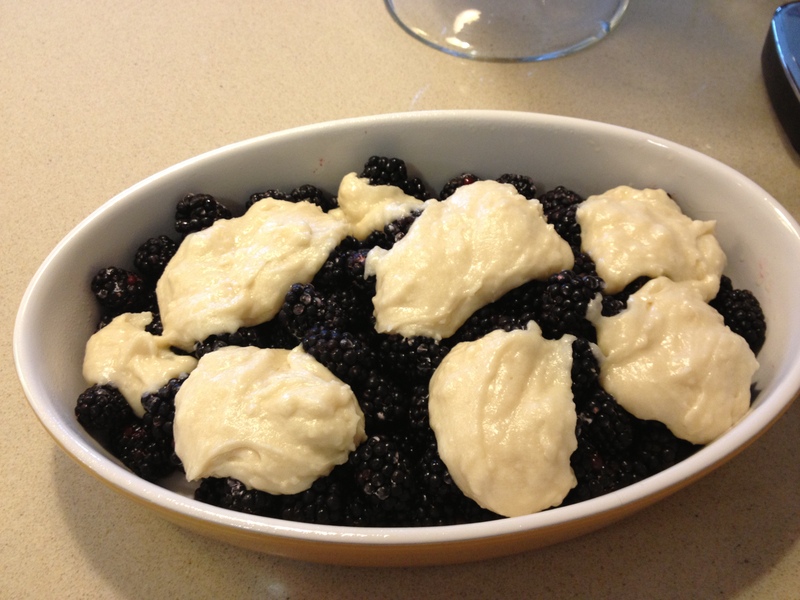 Then by the moundful drop dough onto blackberries. I spread around a little bit but don’t completely cover the top of berries. ( see photo) the dough will spread a little once it’s baked. Pour boiling water over the dough and fruit before you bake it. Sprinkle top with 1/4 turbinado sugar or regular sugar. Raw sugar or turbinado sugar makes it a little crunchier topping. I prefer it to regular sugar for a topping. Remove from oven and let sit but serve while it’s still warm with ice-cream for extra added deliciousness! Happy Summer from my kitchen to yours. This entry was posted in Baked Goods, dessert, fruit, fruit cobblers and tagged Blackberry Cobbler, Cobbler not Crisp. Bookmark the permalink.